After almost 10 years operating as Media Enterprise Alliance, we’re excited to announce a new name and identity. 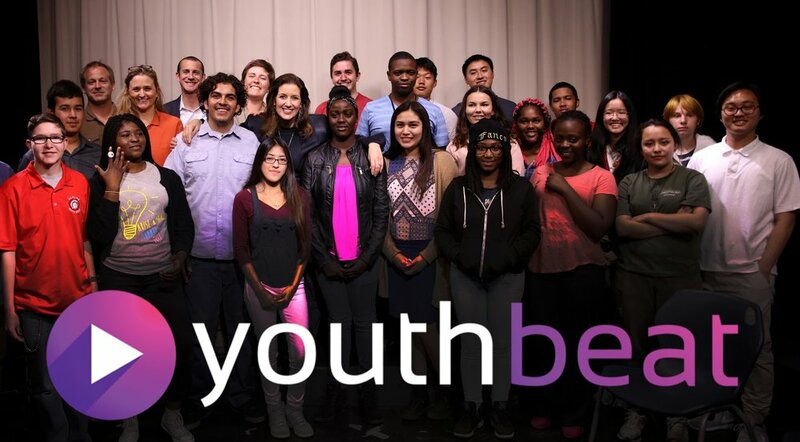 As of March 11, we are Youth Beat! Rest assured, our mission and core programs are not changing. Our mission, as always, is to help low income Oakland kids get on a path that leads to success in college, career and life. We’ll continue to offer the same high-quality media arts training and mentoring that has earned accolades, inspired students and launched them into college and careers in the world of media arts. So why Youth Beat? Simply put, we wanted a more modern brand to reflect the cutting-edge skills our students are learning, as well as to help elevate our presence in the community . . . with the ultimate goal of reaching more of the low-income, inner-city Oakland kids who stand to benefit from our programs. In journalism, beat reporters are embedded in their communities. They become experts in their subject area, sensitive to both big events and small shifts in pulse; they get to know people and earn their trust. We find this to be a strong metaphor for the life-changing work that’s happening in our classes. Youth Beat’s teaching artists are experts not just in video production, photography and other media arts skills. They become experts on engaging inner-city kids, unlocking their potential and setting them on a course for success. There’s a reason many of our students use the word “family” and “home” to describe our classes. MEA has grown rapidly -- from a small startup that served just a handful of students in 2009 to a well-known, well-respected training and mentoring program that now serves over 300 students annually. As we launch a new chapter as Youth Beat, we look forward to reaching many more of Oakland’s low-income kids, and we invite YOU to get involved. With Youth Beat PRO, we will continue to offer students opportunities to work as paid interns on real-life, fee-for-service video productions. But to succeed, we need projects and new clients. Our students need people like YOU to spread the word about the reasonably-priced, professionally-produced videos they can produce for your business, nonprofit or personal project. We’ll also need people like YOU to volunteer, donate, and tell others about our work and our students. Our students need many more people in Oakland to know about their impressive work and skills. For now, I invite you to explore our new website and let us know what you think. While you’re here, please sign up for Youth Beat’s email list, follow us on Facebook and Twitter, and share the news with your networks. Whatever you do, GET INVOLVED! Oakland’s kids need YOU!